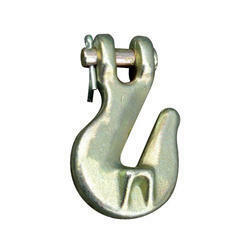 Leading Manufacturer of grab hooks and clevis grab hook from Ahmedabad. We are a well-recognized name that is affianced in offering our valuable clients a world class Grab Hooks. The offered hooks are precisely manufactured using premium quality raw material and ultra-modern technology in compliance with industry norms. 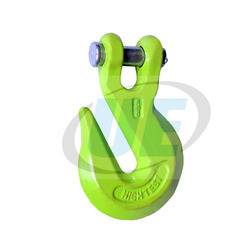 Grab Hook is commonly used in load binding applications as an end on a transport chain. When used with 3/8" chain, the shallow throat opening allows for easy and secure connections and ensures that your chain won't slip. 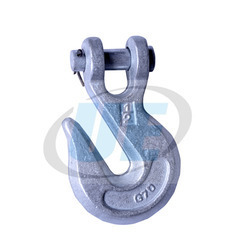 This hook is stamped with "G70" for easy identification and meets stringent DOT regulations for Grade 70 Transport when used with 3/8" Grade 70 Transport chain. We offer high quality Clevis Grab Hook which suits the various industrial requirement.Furthermore, our Clevis Grab Hook is acclaimed for its durability and optimum quality. We are offering this Clevis Grab Hook to customers at competitive rates. Our rapidly growing organization is offering a wide gamut of Clevis Grab Hook. Offered grab hook is used in load binding applications as an end on a transport chain.